I texted briefly with Breyden last night. 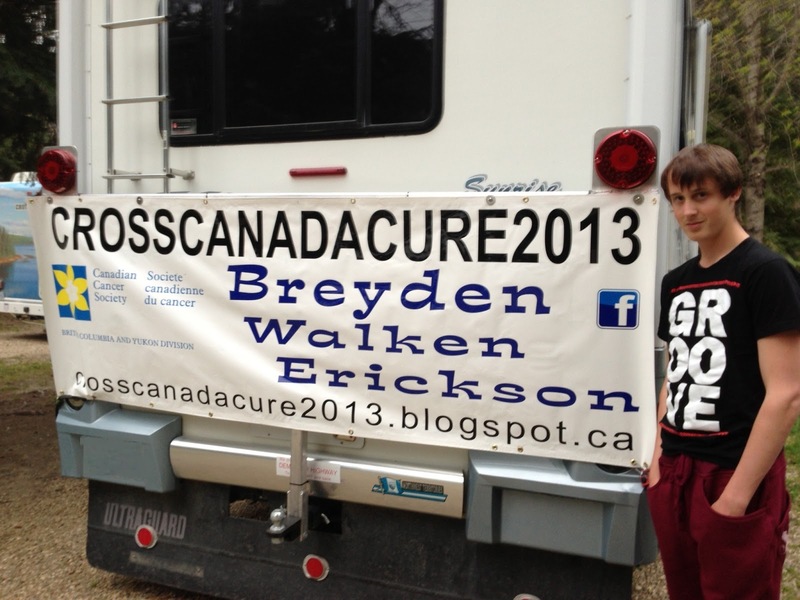 He and the support team headed out of Brooks Alberta yesterday and are continuing on his walk. The weather has improved and he is working extra hard to make up some of the lost time due to the strong Headwinds they experienced last week. HE WALKED 52 KILOMETERS Sunday alone! He is more determined than ever to reach his donations target. and all of us on the support team are resolved to help him accomplish that goal. He has come a long way since leaving Horseshoe Bay, BC just over 2 months ago, but still has a long way to go to achieve his fundraising goal.